We would encourage anyone interested in baseball to become an umpire. Umpires are required at all levels of baseball, and we can't play ball without them. 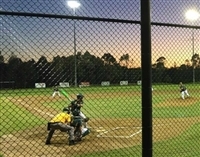 If you are interested in becoming an umpire, please contact our VP, Baseball Operations, Adam White on 0429 433 670. For all things relating to becoming a Baseball Umpire, please see the QLD Baseball Umpires Association website.